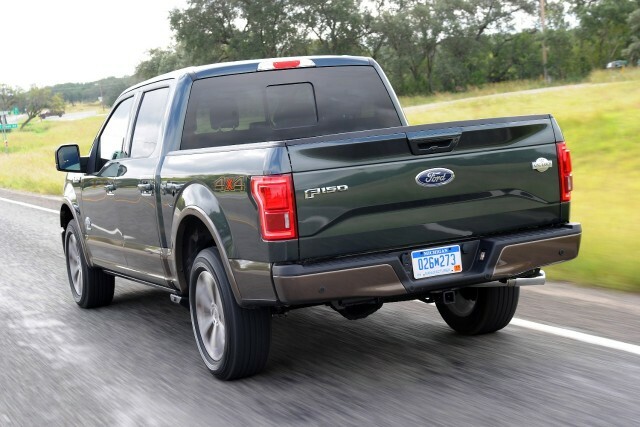 Perhaps no gas-mileage ratings have been as eagerly awaited this fall as those for the all-new 2015 Ford F-150 pickup. The redesigned full-size truck with an aluminum body and pickup bed was expected to get better gas-mileage numbers than earlier F-150s. And it has, with a top rating of 22 mpg combined (19 mpg city, 26 mpg highway) for the most fuel-efficient model, a rear-wheel-drive model with the new 2.7-liter EcoBoost V-6 engine. But the F-150's best rating falls shy of the most fuel-efficient full-size pickup on sale, the 2015 Ram 1500 EcoDiesel--rated at 23 mpg combined (20 mpg city, 28 mpg highway) in rear-wheel-drive form. The diesel Ram 1500 has been remarkably successful for Fiat Chrysler; it will soon make up fully 20 percent of production. 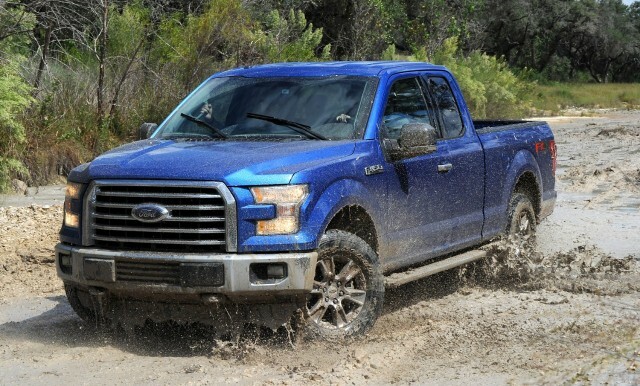 Not all of the new F-150's ratings can be directly compared to last year's models. For one thing, the 2.7-liter EcoBoost V-6 is an all-new engine. While the 5.0-liter V-8 and 3.5-liter EcoBoost V-6 are carryovers, the 3.5-liter (non-turbo) V-6 is a slightly lower-displacement version of last year's 3.7-liter V-6. 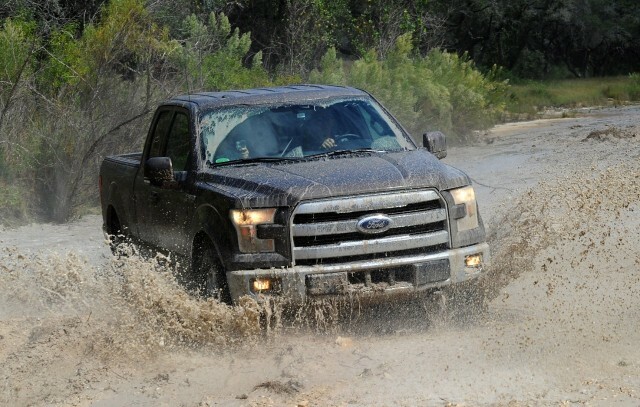 Ford said in its media release that the 2015 F-150's EPA ratings are "5 to 29 percent better" than comparable 2014 models. Using the V-8 engine as a comparison, the effect of the lighter-weight aluminum truck seems to be relatively small. 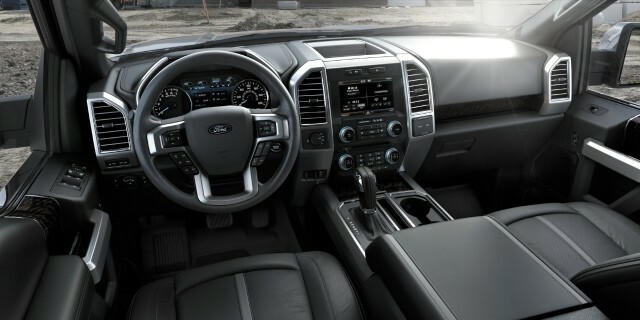 The rear-wheel-drive V-8 model rises to 18 mpg combined from 17 mpg, for instance, while the four-wheel-drive V-8 F-150 rises to 17 mpg combined from 16 mpg. The latter change still saves 56 gallons of gasoline over a 15,000-mile year, and it will certainly help Ford to meet steadily rising corporate average fuel-economy requirements. But there's another factor that may make the top-rated Ram 1500 EcoDiesel a more appealing choice for some buyers: Diesels often overachieve on their EPA ratings, while turbocharged engines often underachieve. Ford's PR staff has consistently noted that diesel fuel is more expensive per gallon than gasoline, meaning that in some use cases, any savings in fuel consumed may be lost due to paying more per gallon and the higher purchase price of diesel engines. The nationwide average difference last week, according to Ford's Mike Levine, was 76 cents per gallon. That per-gallon difference varies considerably by state. It's 80 cents in Texas, where Ford sells almost a third of its F-150s, but only 27 cents in Alaska, according to AAA. Ford is expected to introduce its own small diesel for the F-150 within a few years, which may well let it gain the overall fuel-economy title for full-size pickups. 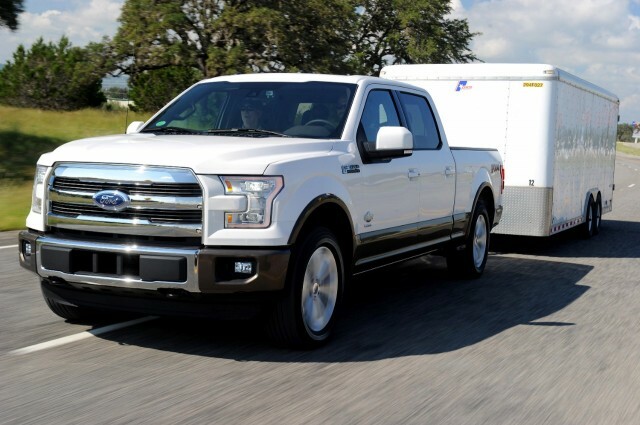 Still, this year, Ford has stressed the new trucks' cargo and towing capacities as much as the fuel-economy ratings. 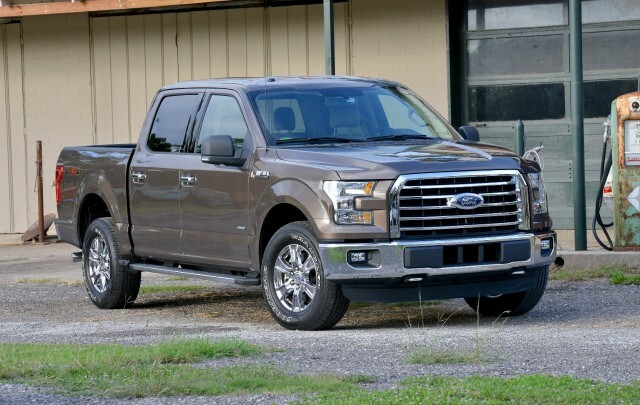 Before it mentions the EPA ratings, Ford's press release notes that the 2015 F-150 "can tow as much as 1,110 pounds more, haul as much as 530 pounds more [and] has a 5 percent to 16 percent better power-to-weight ratio." And Levine underscored the differences in capability by pointing out that the 20-mpg combined 3.5-liter EcoBoost F-150 tows 3,000 pounds more and carries a payload more than 1,600 pounds heavier.